Today was Day #6 of Chocolate and Peanut Butter Theme Week. You want peanut butter? 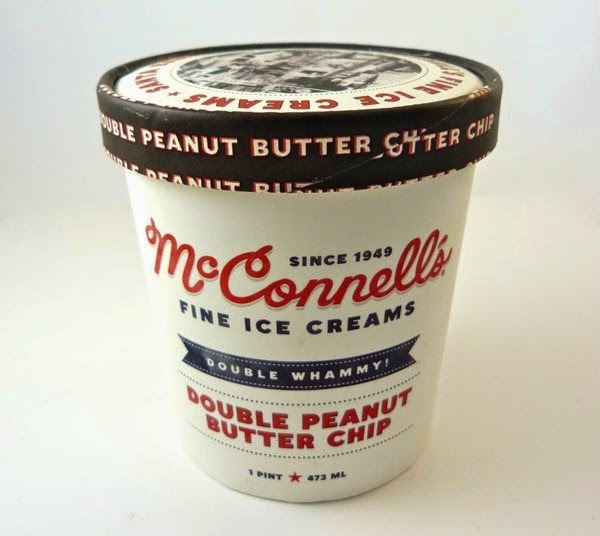 Here's a "Double Whammy" -- Double Peanut Butter Chip ice cream from McConnell's Fine Ice Creams (Santa Barbara, CA). The peanut butter in peanut butter ice cream dominated the chocolate pieces here; but it was fun to relish in layers of peanut flavor. 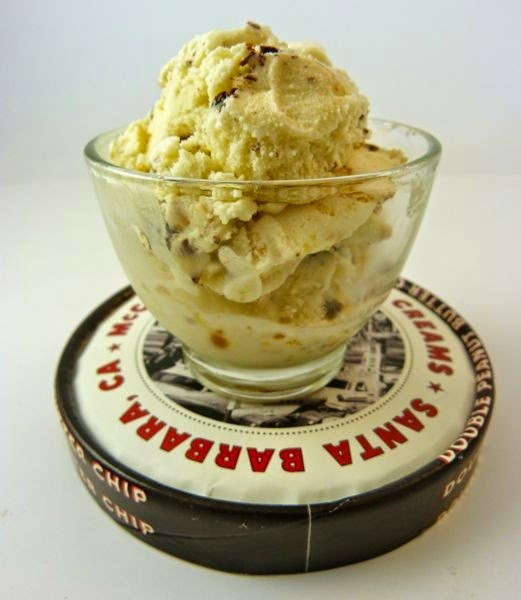 This flavor was described as: "creamy peanut butter folded into peanut butter ice cream... (with)... our signature, Guittard bittersweet, melted chocolate chip..."